As a busy mum and a family on a tight budget, treating myself to new things in particular new clothes is often a rare thing. Shopping on the high street can be a nightmare thanks to a velcro baby and I often find I don’t have the time to browse countless website to find clothes I like especially as I have an eclectic fashion style and one brand can never quite satisfy all my clothing tastes. Thanks to the clever people at www.lyst.co.uk shopping for clothes for me has become a whole lot easier! Lyst is a shopping platform with a difference. Lyst learns about you and your shopping habits so that you are provided with a shopping experience unique to you where you only see clothes and accessories you love. The more you use the platform the more personalised and tailored the shopping experience becomes. I love the tailored shopping experience as it will save me hours of browsing websites galore to find clothes and accessories that I like and that would suit my taste and style…..as a busy mum with no time to spare this is a lifesaver and will mean I might just be able to update my wardrobe on a more regular basis so that I don’t look like a throwback from the 00’s! So that I can benefit from a wide range of clothing styles and brands the website works with top designers Burberry and Gucci alongside popular high street brands such as Oasis, Topshop and Selfridges. What I especially love about Lyst is that you can ‘lyst’ items into wishlists and the best thing of all is that you are then alerted when anything you’ve added to your lyst goes on sale or comes back in stock! This is perfect for helping you save money which is a huge bonus for a mum on a tight budget and super helpful so you can snap up your favourite items when they come back in stock without having to check websites for new stock everyday. As I love dresses - my wardrobe is brimming with dresses yet I always want more - and adore a variety of dress styles it is no surprise to me that my wishlist is already filled with dresses! 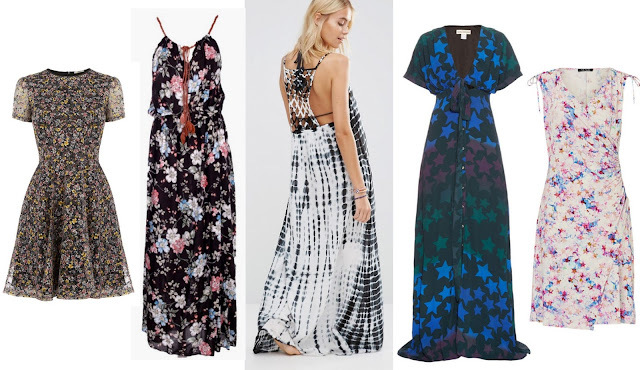 Here are a few of my favourite dresses that I am lusting after on Lyst. What do you lust after from Lyst?